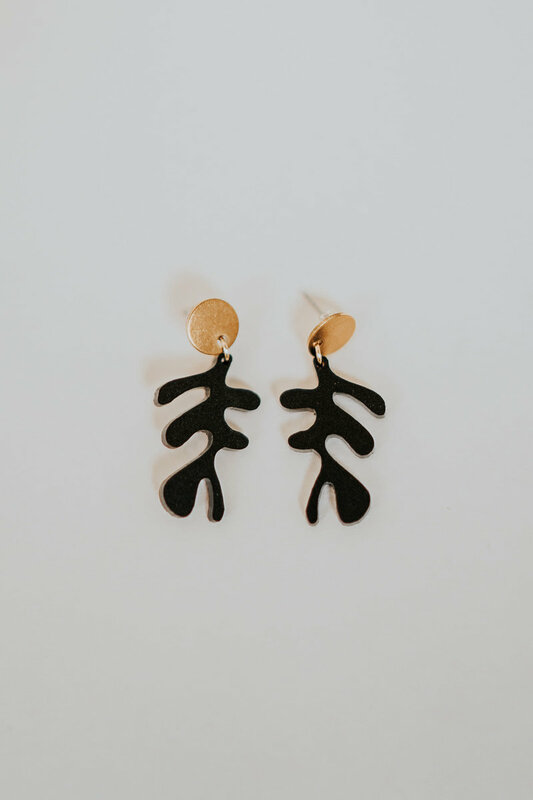 Handmade in Australia, these delightful earrings are constructed of matte acrylic with a brass topper. Surgical steel posts. By Happy in Finland.